I have to admit that I eat more than my share of candy corn at this time of year. 😳 There is something about its yummy sweetness that I just can’t get enough of! So when I found this stamp from Unity Stamp Company, I knew I had to have it! Here’s how I made this fun card. I stamped the image with black ink on white card stock. The image is colored with Copic markers and the edges of the panel are sponged with black ink. I layered the panel to green card stock and attached the whole panel to a black card stock strip punched with the scalloped edge punch. The sentiment is stamped with black ink on white card stock, punched with the oval punch, and layered to a scalloped oval punched from green card stock. 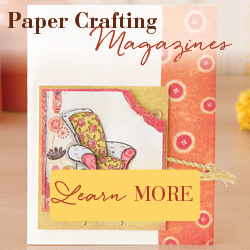 Using the swirl embossing folder, I embossed an orange card stock panel and attached it to a kraft card. The stamped images are attached with pop dots. The punches are from Stampin’ Up and the embossing folder is from Cuttlebug. 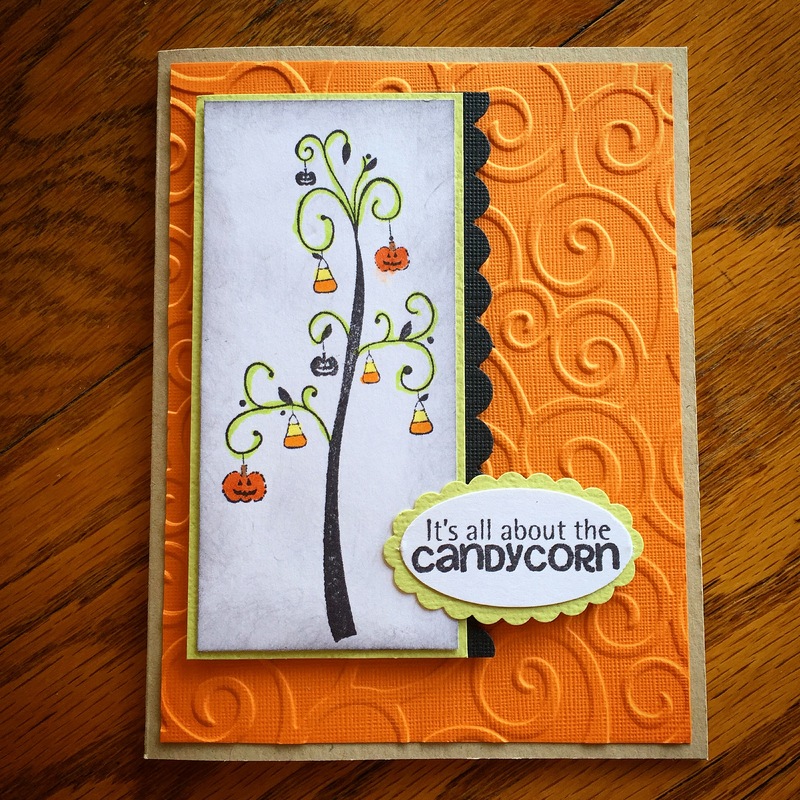 If you know someone who loves candy corn as much as I do, this is the perfect card for them!